We are a monthly meeting of the Religious Society of Friends -- the Quakers. 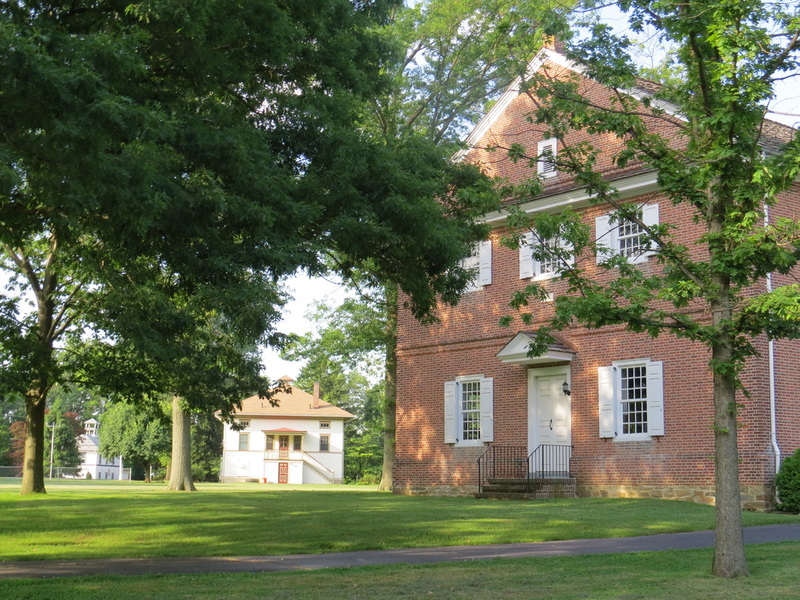 We are a member of the Philadelphia Yearly Meeting (Burlington Quarter), and we meet for silent worship every Sunday at 10:00 a.m. at the historic 1773 Meeting House in the village of Crosswicks. We invite you to join us for worship. Please click the button below for more information. 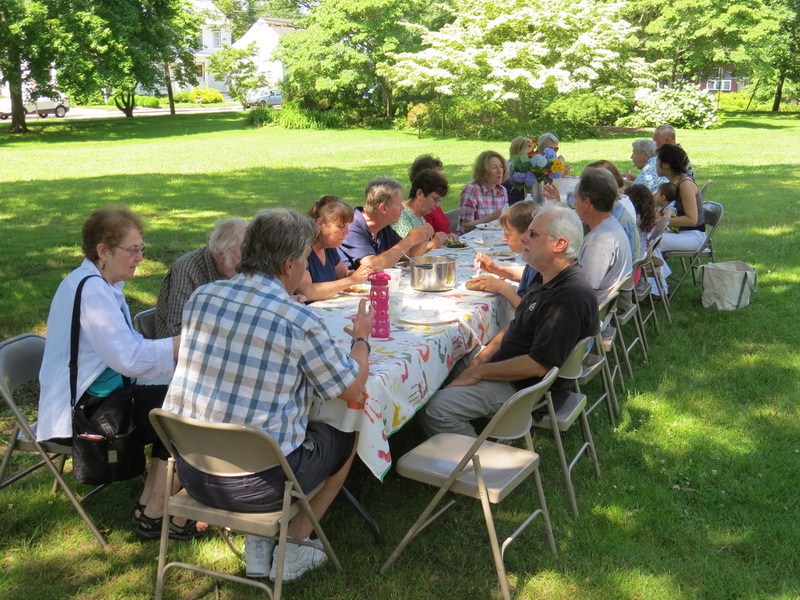 The Crosswicks Friends hold a silent worship every Sunday at 10:15 a.m. in the Meeting House at the corner of Front and Church Streets in the historical village of Crosswicks. After the rise of meeting, there is informal fellowship with coffee and refreshments. occasion there are also presentations and music. Assembly does not take place during the months of July and August. Our meeting is also actively involved in collecting donations for various local and regional charities, funds and outreach programs. Please visit our Advocacy page for more info. Our meeting has a very active social calendar. Please click here for our Calendar, and see below for other upcoming event. April 20: Easter Egg Hunt. The Quakers will hold their annual Easter egg hunt on Saturday, April 20, at 1:00 p.m. on the Meeting Green in front of the Meeting House. All children through grade six are welcome to participate. Please arrive early if you would like to assist with the setup. April 21: Easter Breakfast. We will hold our annual Easter breakfast in the First Day School beginning at 9:00 a.m. sharp. All are welcome. April 21: Easter Worship Service. Following breakfast, we will hold our Easter worship service in the Meeting House beginning at 10:15 a.m. We will combine seasonal hymns and readings with our traditional silent worship. April 27: Pet Show. We welcome spring every year with our annual Pet Show, held on the Saturday after Easter on the Meeting Green in front of the Meeting House. Registration begins at 10:00 a.m. and judging will commence at noon. All non-aggressive pets are welcome. There will be a food truck on site selling refreshments. For more information, please contact Kim at 609-903-2654. The following committees meet to discuss concerns, plan strategies and organize activities. If you would like further information about our committees, please click here. 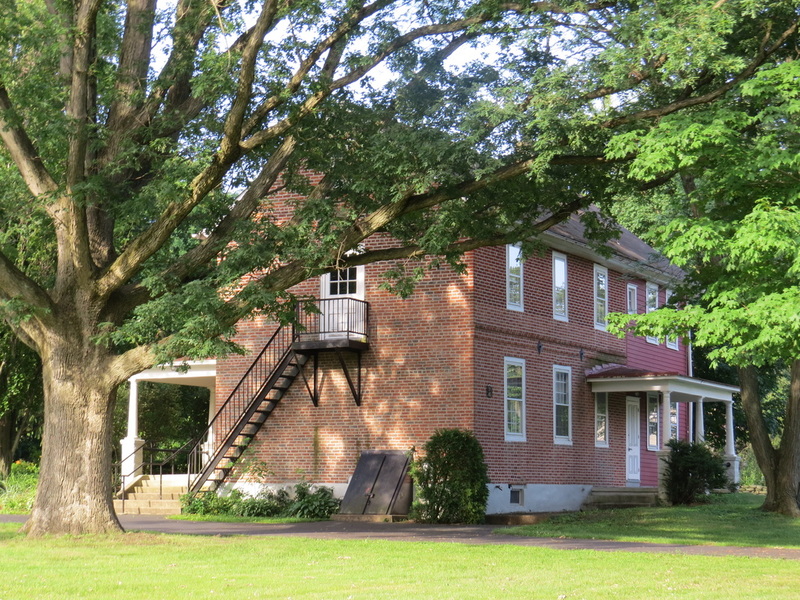 The Meeting House, with the Crosswicks Community House in the background.